This group has a one time membership due. 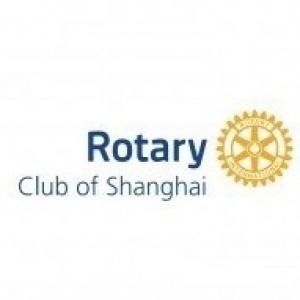 The Rotary Club of Shanghai (RCS) is a not-for-profit organization and part of Rotary International, a global service organization with around 1.2 million members in more than 34,000 clubs in over 200 countries. It is a non-political, nonreligious club and open to all cultures, races, and creeds. The RCS follows the guiding principle of Rotary International “Service above Self” and is composed of a diverse and cosmopolitan group of individuals aimed at making a difference. Our members are convinced that this is possible through engaging every member to contribute with their skills and knowledge. Our 80 members come from 20 different countries and have various vocational and educational backgrounds with strong roots in Shanghai. By sharing the same ideas and working together we create awareness of the importance of inspiring and motivating individuals, communities, and organizations to achieve common targets. It requires being close to local communities in order to be able to easily identify and understand their needs helping us to implement sustainable solutions together. Our projects are mainly related to water, healthcare, education, disease preventions, and community development and are driven from members of our club from concept to execution. Our international and China based projects require a wide range of skills such as financial, project management, marketing, healthcare, education, community development. Through these projects we build long-term solutions, friendships, and share knowledge between members.